Opioids have been around a long time. The opium poppy has been used for its therapeutic benefits almost as long as humans have been around. Opioids have one special ability: to block pain. They do this by decreasing both the perception of, and our reaction to, pain. Opioids also have the ability to increase pain tolerance. As many as four million Americans may be taking opioids regularly to manage their pain. Most of these people are suffering from either low back pain or arthritis. Drugs like “Vicodin,” tramadol and “Darvocet” all purport to help ease the pain caused by these two chronic conditions. This is great — except for the fact that these drugs may not be particularly effective and may actually cause a number of prescription side effects. In a recent clinical trial, a research team from the Queen Elizabeth Hospital in South Australia set out to determine the efficacy and safety of opioid painkillers in inflammatory arthritis. The research team searched some major databases, including Medline, Embase, and Central. Randomized controlled trials in adults with inflammatory arthritis that compared opioids (administered via any route) to another intervention or placebo were included. The research team also assigned two scientists to independently extract data and assess the risk of bias in the trials. Eleven studies were included, all in patients with rheumatoid arthritis. According to the research team, no study was longer than six weeks in duration. They found that opioids were more likely than placebo to cause adverse events. However, there was no difference between opioids and placebo when it came to relieving pain effectively. 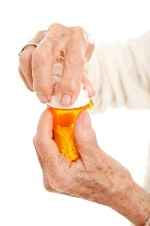 The researchers concluded there is weak evidence that opioids are effective pain-relievers when it comes to rheumatoid arthritis. Side effects are common and may offset the benefits. For some ideas about natural remedies in the treatment of arthritis, read the article, Can That Cocktail Help Arthritis?